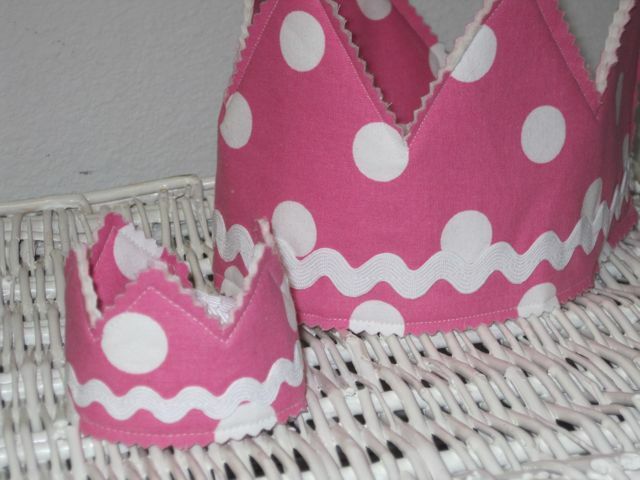 I have a new crown set at my Etsy store My Sailor Girls. 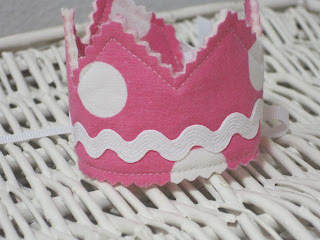 Does your little girl love pink? I mean, really love pink? 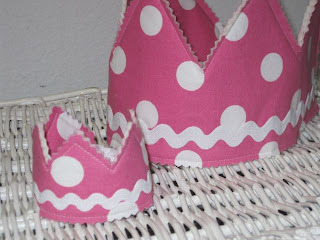 Then this is the perfect dress-up or birthday crown for her and her favorite doll. 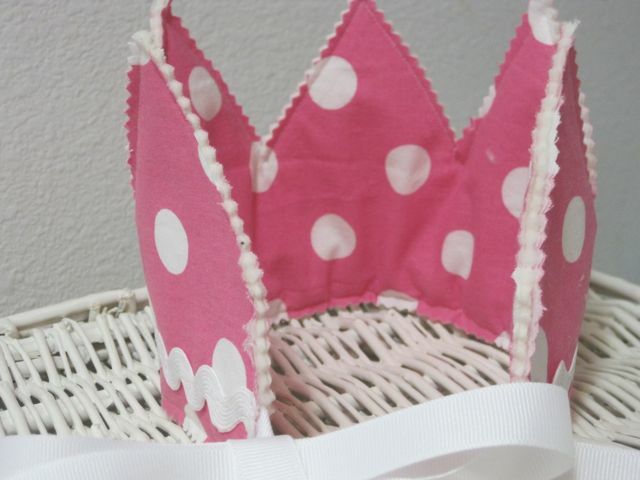 The ric rack trim is so fun and the ribbon ties make both the doll and girl crowns completely adjustable, while the soft inner batting makes them comfortable on little heads. This crown set also matches my Pretty 'n' Pink skirt set so come check it out!